Apple just announced its new, fourth generation iPad, and it's got a new chip, too. 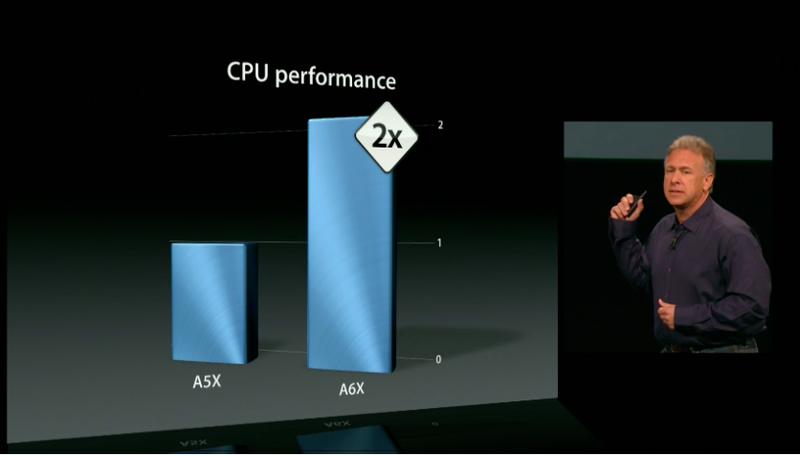 The A6X is, according to Apple, twice as fast on both general CPU tasks and graphics. We'll let you know as we know more about the chip, but chances are it's designed by Apple, just like the A6 was. Some quick background: The A6 chip was the first time that Apple designed a chip on its own from reference design, and not a pre-built core. In regular people terms, that means Apple didn't just tinker with someone else's blueprints; it took a very basic skeleton of the design and then went to town on it. It was a big step, and something that Apple is putting more emphasis on. For the chip itself, as far as we know, the A6, announced just a month ago, appears to be a dual core chip. Its claim to fame was that Apple said it allowed the camera to take photos 40 percent faster. But if the cycle holds to form, there should be a sizable jump in graphical power here, since the A5X really did deliver much better graphics than the A5.